About a year ago when we visited Zürich for our Promessa Friends gathering, I was contacted by Stefan Ineichen from Migros-Kulturprozent located in Zurich Switzerland. Stefan told me he was involved with arranging an annual program called “Nahreisen“. “Nahreisen” can be translated to “close travel” and the idea behind the program and the title is to introduce the city of Zurich to its own inhabitants. This they wanted to do by arranging informative and interesting speeches at different places and venues in Zurich. The participants get to travel both physically and mentally. 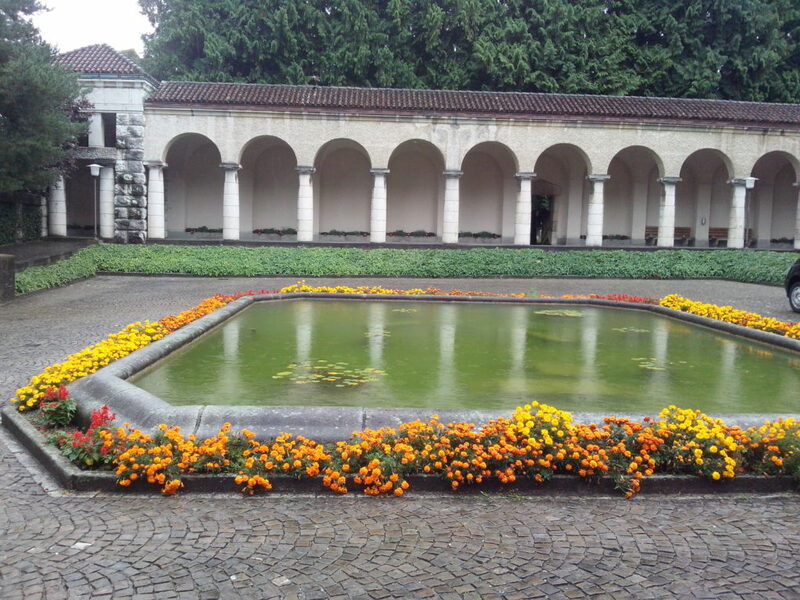 Some of these places and venues are well known while others are hardly known by the inhabitants of Zurich and the speakers are also selected to give the listener a “journey”. Each year they have a theme, and the theme for Nahreisen 2017 was “Kreisläufe & Energieflüsse” or in English “Circle of life and energy flow”. Because of this Stefan wanted me to talk about promession at an old, beautiful and closed down cremation facility inside the city of Zurich. I don’t do too many such presentations any more, as our focus has shifted a bit from spreading the word to educating new Representatives in many countries to prepare for our start and securing funding for our showcase facility. But I couldn’t say “no” to Stefan’s request, so we decided to accept this invitation to speak at Nahreisen 2017. The fact that we also have a lot of Promessa Friends here, and some possible partners not far away which we could visit, helped convince us to say “yes”. 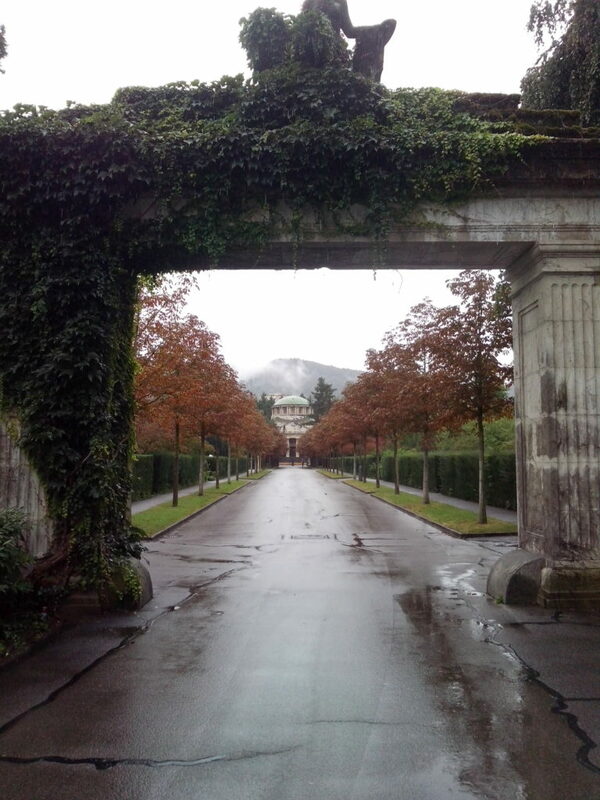 The venue of my speech was Friedhof Sihlfeld. “Friedhof” translates to “graveyard”, and this one have quite a history to tell. In 1874 the people of Switzerland voted over and approved adding a new amendment to their constitution. This new amendment gave more responsibilities and powers to the federal government, among other things in regards to death and dying. It was no longer only in the hands of the religions but also the politicians and local government. With this amendment in place, the plans for the first open public graveyard in Zurich started. By “open” they meant that you were welcome regardless of your religion (or lack thereof), social- and financial status. The first part of this graveyard was officially opened in 1877, and was quite simply called the “Central Graveyard” (the graveyard didn’t get its current name until 1896). In addition to being the first “open “graveyard in Zurich, it would also soon become the location for the first Crematorium in Switzerland, which opened up in 1889. An interesting anecdote is that this first crematorium was financed privately, but placed in a public space. Both the public and the private worked together to provide the inhabitants the services they wanted. Another interesting aspect of Friedhov Sihlfeld is that over many years the graveyard has developed more towards an open space with parks, sculptures, etc. This to make it more sustainable and approachable, and with this more used by the inhabitants in Zurich. This is a direction we in Promessa feel is the right way to go for all graveyards. The current practice is unsustainable, and not in sync with the modern life. The cremation process has also because of environmentally reasons been moved outside of the city. The speech also went really well. The venue was intimate, especially with the huge turnout, which gave it a good atmosphere to talk about promession. In addition to the Nahreisen participants, we had also sent out an invitation to our Promessa Friends in Switzerland and luckily a few managed to show up. It’s all about trying to optimize every chance we have to meet our current Promessa Friends and to spread the knowledge of promession. 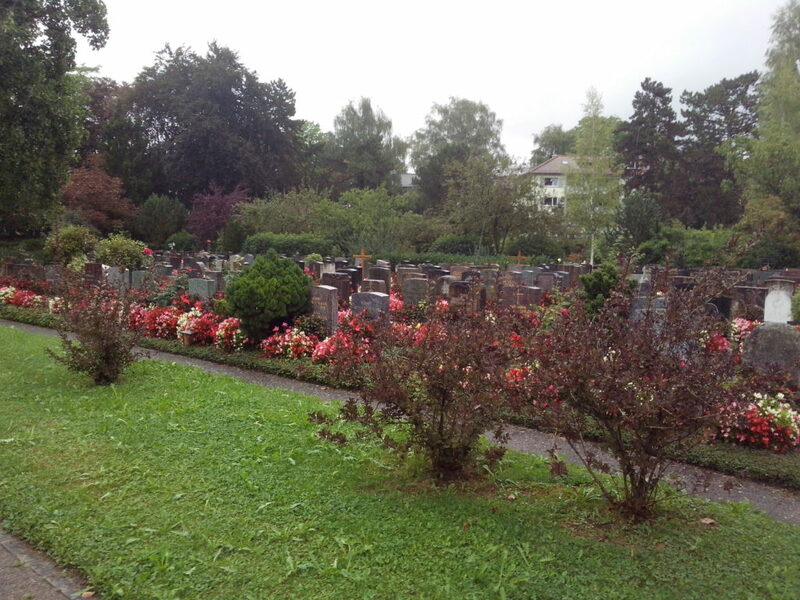 Here are some pictures from Friedhof Sihlfeld.